San Francisco is known for its colorful neighborhood culture and melting pot atmosphere. Sometimes known as the "City by the Bay," San Francisco is also a beacon for those who savor seafood – whether they live within one of the various neighborhoods that comprise its 231 square mile city borders, or are tourists just passing through. While San Francisco offers a wealth of top museums and opportunities to see fine art, as well as a touch of the unusual scattered throughout the city, its seafood dining options are beyond measure. CityPASS has narrowed the field to just a few of San Francisco's most sumptuous seafood houses where you can get your grub on. From fine dining to more relaxed neighborhood fare, we've got all of your bases – and basses – covered! 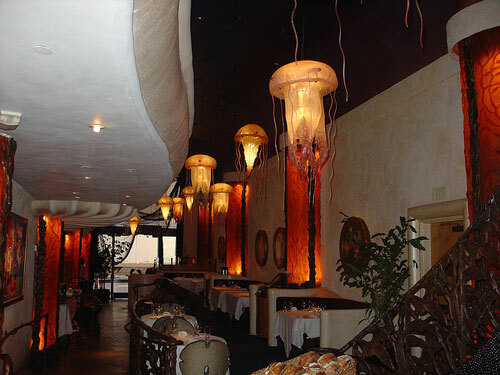 Located at 450 Post Street in Union Square, Farallon offers patrons top-notch seafood and a unique dining environment that marries upscale with quirky. The neon-lit marquee outside belies the opulent interior that can be considered one of the must-see San Francisco attractions to check out while you're in town. Inside, Farallon boasts hand-crafted chandeliers stylized to look like crystalline jellyfish and a sweeping "caviar staircase" made from thousands of shimmering blue marbles. And that's just the décor! Farallon's menu offers an abundance of creative ocean fare, including entrees such as Grilled Rare Tombo Tuna accompanied with roasted red squash and coconut-lemongrass coulis, and appetizers like White Bean Stuffed Monterey Squid, sure to tempt the palate. Although Farallon's fruits of the sea can be somewhat pricey, they do offer a great Happy Hour in their "Jelly Bar" with $6 drinks and appetizers that cull from classics like vodka gimlets, bay oysters, and truffled French fries. With two locations – one on Fillmore St. nestled in San Fran's Lower Pacific Heights and another at 2073 Market Street – Woodhouse Fish Co. serves up delicious seafood dishes in a relaxed setting at great prices. In addition to fresh daily fish specials, Woodhouse Fish Co. specializes in delicious fish sandwiches, including a Dungeness Crab Melt and a to-die-for split-top Maine lobster roll – packed with meaty chunks of lobster on butter-slathered toast. If seafood sandwiches aren't your bag (or baguette), check out their authentic San Francisco cioppino or grilled stuffed artichoke filled with shrimp and crab. In addition to their daily specials, Woodhouse Fish Co. also offers select menu items for just $1 on their Dollar Tuesdays. 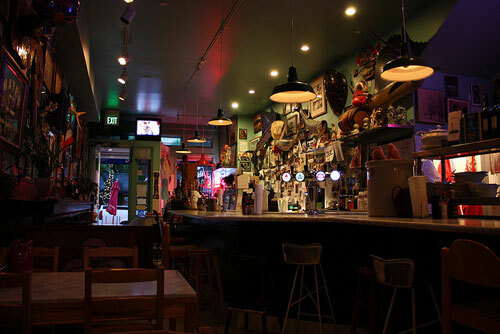 Consistently ranked among the best places to enjoy fresh fish and oysters in San Francisco, this Italian seafood restaurant is located in North Beach. The building Sotto Mare resides in is over 100 years old, and owner and Chef Gigi Fiorucci had its exterior restored to look the way it did in the early 1900s – as a charming neighborhood fixture. Fiorucci, an Italian immigrant who has been in the restaurant industry as both an owner and chef for decades, applying his expert touch to no less than 10 restaurants, has pledged that Sotto Mare is his last effort as a restauranteur and aims to make it his best ever. Apparently, many San Franciscans agree! Sotto Mare features fine seafood in a warm, family-friendly setting. Among some of their signature dishes are clam chowder with bacon, seafood risotto and the "Best Damn Crab Cioppino" with a portion-size so generous it can serve two people. Sotto Mare also has an assortment of fresh seafood, as well as oysters on the half shell or oyster shooters to whet the customer's appetite before indulging in a main course. Planning a trip to the West Coast? Set your sails and adjust your seafood sights for some of San Francisco's best places to score one amazing catch of a meal.